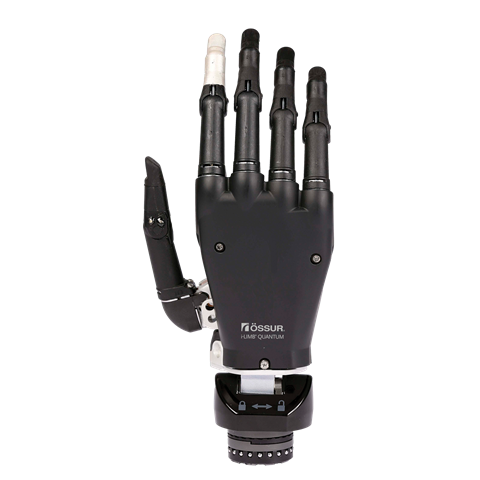 The i-Limb Quantum is the standard for myoelectric prosthetic hands. Incorporating our patented i-mo™ technology, i-Limb Quantum is the only upper limb prosthesis that can change grips with a simple gesture. Gesture control enables an automated grip to be accessed by moving the i-Limb Quantum in one of four directions – it really is that simple. Titanium digits Check out our titanium strengthened digits which increase the maximum carry load by 50%. Available in S/M/L. Can be used to store grips or favourites for i-limb® and i-digits™.